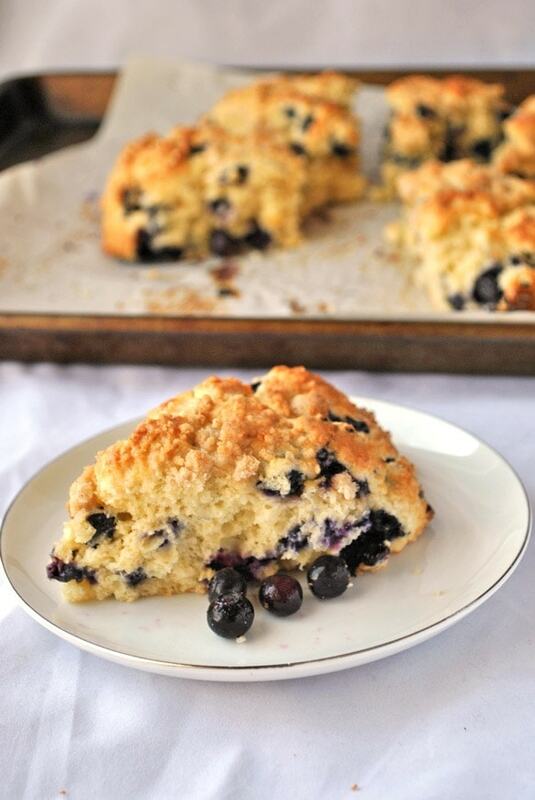 Rich and moist lemon blueberry scones with a sweet and crunchy streusel topping. 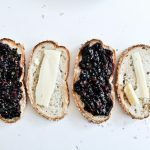 Get this simple to make recipe that your family will love. So, I mentioned my love affair with breakfast before, right? I mean, sometimes I’ll eat breakfast foods unitl 11pm just because they’re so delicious. I also have a -thing- for scones because they are the perfect breakfast hand food that I can munch on everywhere. 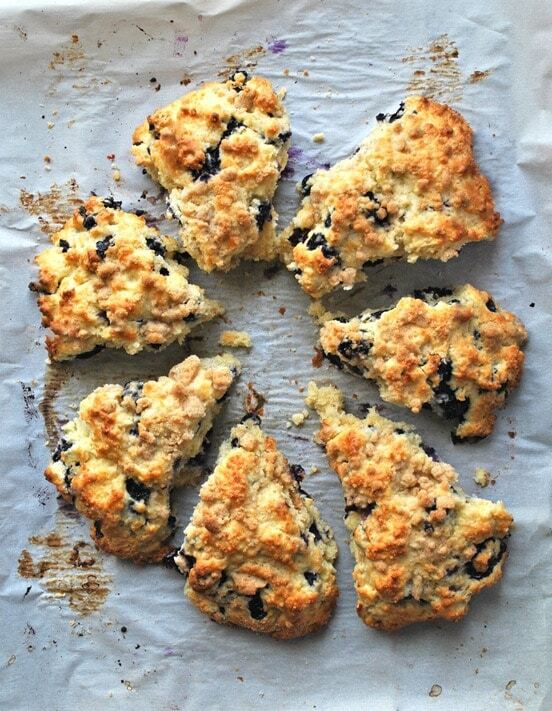 These lemon blueberry scones are one of my favorites. 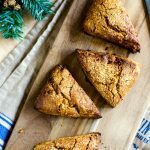 It is not like your traditional scone as these are a little more moist(I don’t know if you can tell, but I love the cakes and sweet breads to be on the moist side), and there is a sweet, crunchy, golden brown streusel topping. 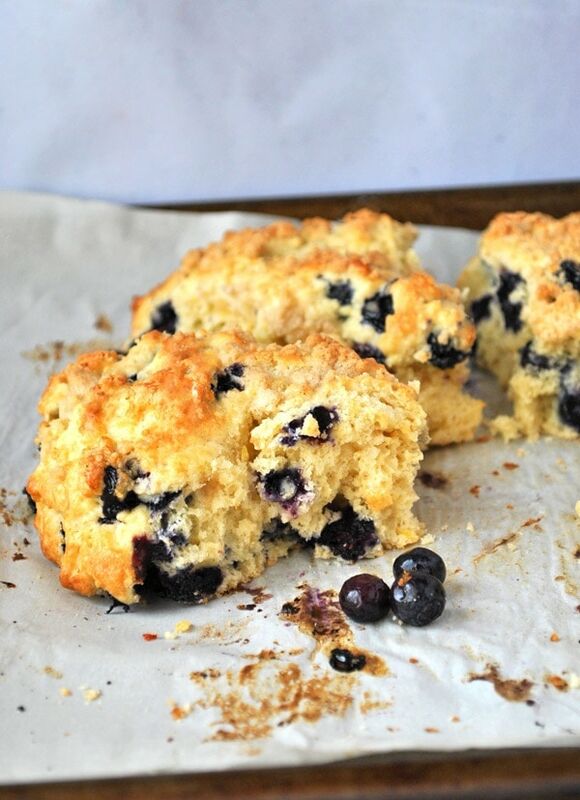 These scones are filled to the max with fresh blueberries that burst with flavor in every bite. The flavor is brightened and intensified with a hint of lemon and finished with the deliciously crunchy streusel topping. 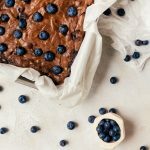 This is so delicious, I swear you will be tempted to eat a whole batch on your own. Go on, I won’t tell anyone. 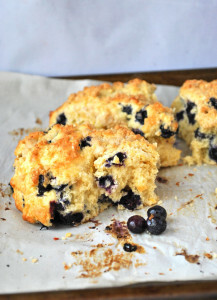 Don’t have time to bake these incredible scones now? Pin it for later! Combine your flour, sugar, salt and baking powder together in a medium bowl. Cut in the butter using your hands or pastry cutter until the flour resembles large crumbs. Mix the lemon zest, juice, heavy cream and eggs in a small bowl and whisk together. Dig a well in the middle of the flour mixture and pour in the egg mixture. Use a fork to combine. Once a dough forms, use your hands to full incorporate the egg mixture into the dough. Fold in the blueberries. Place the dough on the parchment paper and form into a square that is about 1" thick. Cut into 8 pieces and separate each slice so they are not quite touching. Make the streusel topping by combining all the ingredients together and using a fork to mix well until large crumbs form. Cover the scones with the streusel topping and bake for about 20 minutes or until a light golden brown. Transfer the finished scones to a wire rack to cool and enjoy. I love scones but never make them. I will have to try these. stopping by SITS girl.